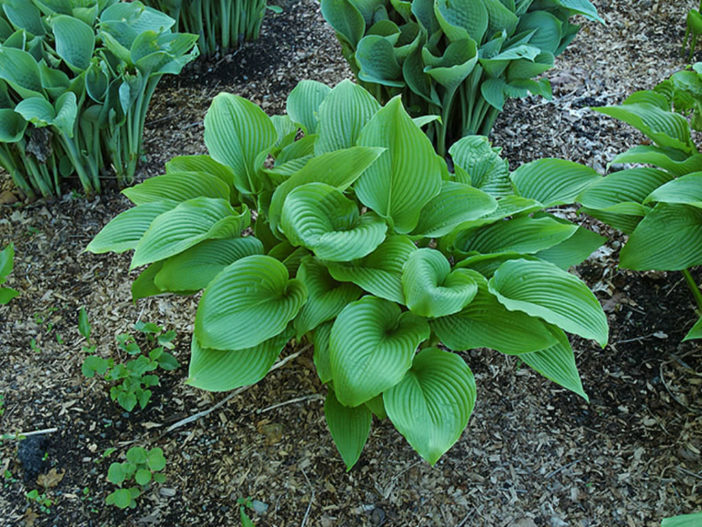 Hosta sieboldiana var. montana (F.Maek.) Zonn. 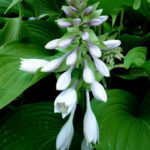 Hosta sieboldiana var. montana is a herbaceous perennial that forms large, vase-shaped clumps of broadly-ovate, deeply-veined, olive-green leaves. The leaves are with a long, narrow tip and a lightly-waved edge, up to 8 inches (20 cm) long and up to 12 inches (30 cm) wide. 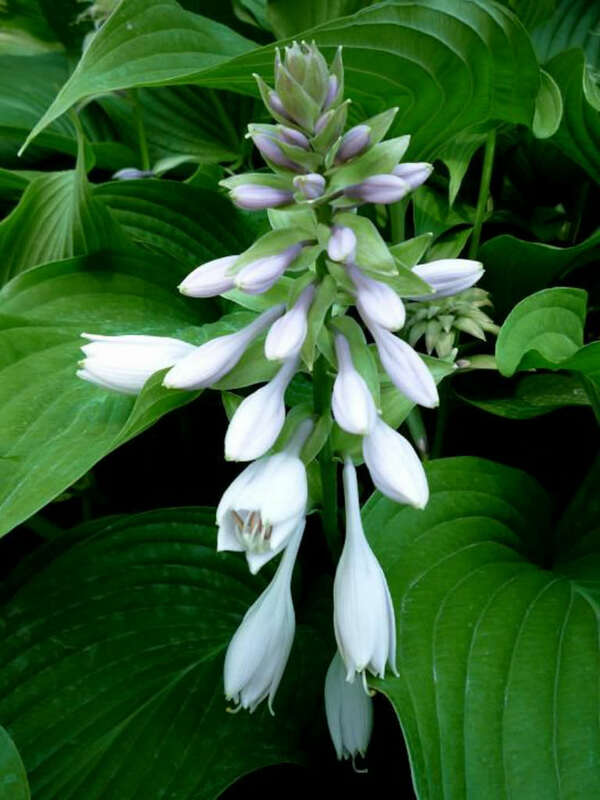 Whitish bracts surround the flower buds which open to very pale-purple flowers, carried on stems up to 4.25 feet (1.3 m) tall in late summer. 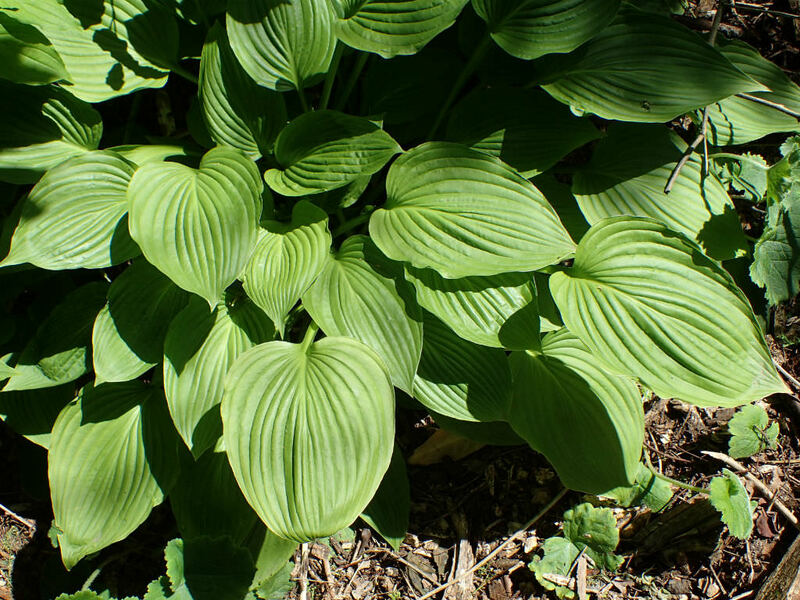 The color of a Hosta’s leaves can help determine how much light it prefers. Blue and deep green varieties like deeper shade, while variegated (striped or splotched bicolor leaves) and yellowish varieties require some morning sun. 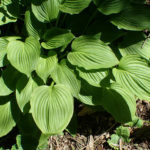 Harsh afternoon sun can scorch Hosta leaves. 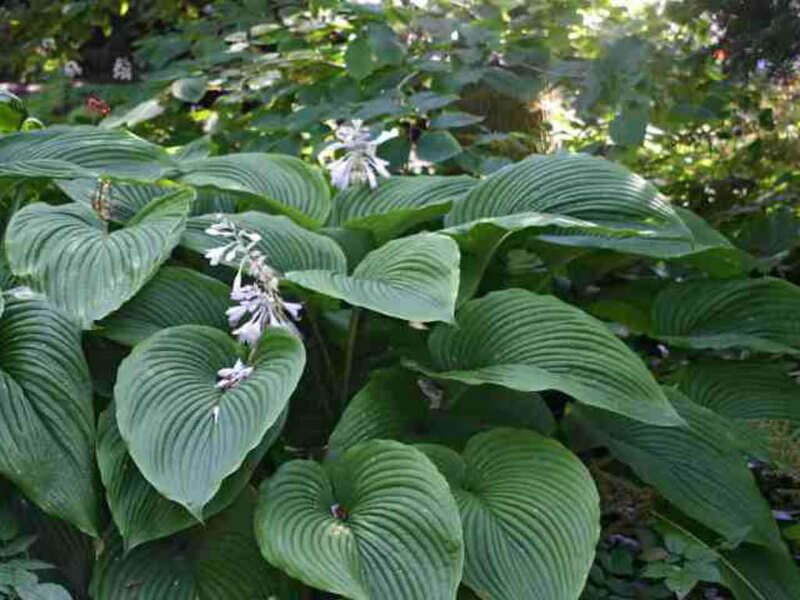 Hostas prefer an inch (2.5 cm) of water a week, whether it’s from rainfall or irrigation. If you water by hand, do so early in the day. Burnt leaf tips and drooping leaves are signals of inadequate water. 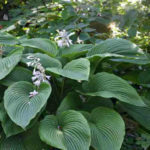 Rich, slightly acidic, well-draining soil produces the best Hostas. Add organic matter such as compost, manure, leaf mold or peat moss when preparing the planting hole. Mix well and do not let manure contact the roots directly, because this can cause discoloration of the leaves. Apply a 10-10-10 or 5-10-5 all-purpose fertilizer according to package directions if the soil is poor. Otherwise, topdress with well-rotted manure or compost.